After Patsy's eviction earlier tonight, we returned LIVE to the house for Big Brother to announce the end of Perez' secret mission. 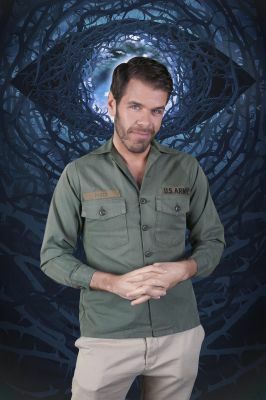 The housemates were informed via a video clip shown on a screen in the living area that Perez actually had NOT left the house on Sunday and that he had been watching them from a secret room in the house. Perez returned to a mixed reaction from the housemates and then Emma went LIVE to the house for a second time tonight to inform Perez that the public had been voting via the BB app to either give him a free pass to the final or be eternally nominated for the rest of the series, the public chose to eternally nominate him! Day 21: Perez has been ETERNALLY NOMINATED! Upon returning to the House this evening, Perez discovered that the public have been deciding his fate via a poll on our official CBB app. Faced with the choice of giving Perez a pass to the final or giving him an eternal nomination, you decided to condemn him to nomination for every future eviction.